HONG KONG, Aug. 28, 2018 /PRNewswire/ — Nord Anglia Education (NAE), the world’s leading premium schools organisation, today announced that 50% of its students’ grades were A* or A (or equivalent) in the I/GCSEs, up from 46.2% last year. Groupwide, 90.2% of NAE students’ grades were A* to C (or equivalent), far exceeding the UK average of 66.9%. These stellar scores are a testament to NAE’s outstanding teaching, the quality assurance framework that demands high standards for schools, and the group’s approach to personalised learning for all students. 1,659 Nord Anglia Education students took the I/GCSEs in 2018, from 31 NAE schools around the world. 50% of all I/GCSE grades achieved by NAE students were A* or A (or equivalent). This is two and a half times the 2018 UK average of 20.5%. 90.2% of students’ grades were A* to C (or equivalent). This is 23% higher than the UK average of 66.9%. This is the first year that NAE’s group average has risen above 90%. For six consecutive years, NAE students have exceeded the UK average of A* or A grades and A* to C grades. 18 schools achieved their best year of A* to C grades since joining the NAE family of schools. The GCSEs (General Certificate of Secondary Education ) are qualifications studied by children aged 14-16 within the English National Curriculum. Students study a wide range of subjects for two years, including coursework, before taking a standardised examination. IGCSEs (International GCSEs) are designed for students outside the UK. They are the equivalent of a standard GCSE and are recognised by UK institutions. Nord Anglia Education is the world’s leading premium schools organisation, with campuses located across 26 countries in North America, Europe, China, Southeast Asia and the Middle East. Together, our 56 schools educate more than 50,000 students from kindergarten through to the end of secondary school. We are driven by one unifying philosophy: we are ambitious for our schools, students, teachers and staff, and we inspire every child who attends a Nord Anglia Education school to achieve more than they ever imagined possible. Every parent wants the best for their child — so do we. 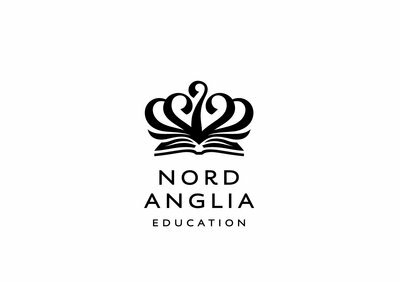 Nord Anglia Education schools deliver high quality, transformational education and ensure excellent academic outcomes by going beyond traditional learning. Our global scale enables us to recruit and retain world-leading teachers and to offer unforgettable experiences through global and regional events, while our engaging learning environments ensure all of our students love coming to school.